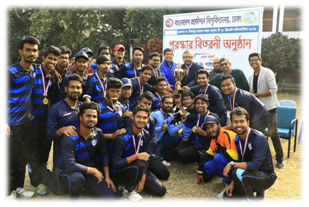 It had been a proud moment for all the students, teachers and staff of the Faculty of Civil Engineering when they became Champion in the Prof. Mizanur Rahman Inter Faculty T-20 Cricket Tournament for both 2018 and 2019 seasons. 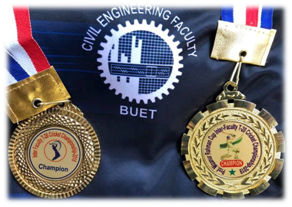 The faculty cricket team is mostly represented by the students and the teachers of the Civil Engineering Departemnt. Thus it represents a story of success for the Civil Engineering Dept. too. The cricket team comprised students and teachers from the department that included Prof. Dr. Mafizur Rahman as a player and Prof. Dr. Mizanur Rahman as a Manager.